Attendees at Google Seminar in Paso Robles, CA. 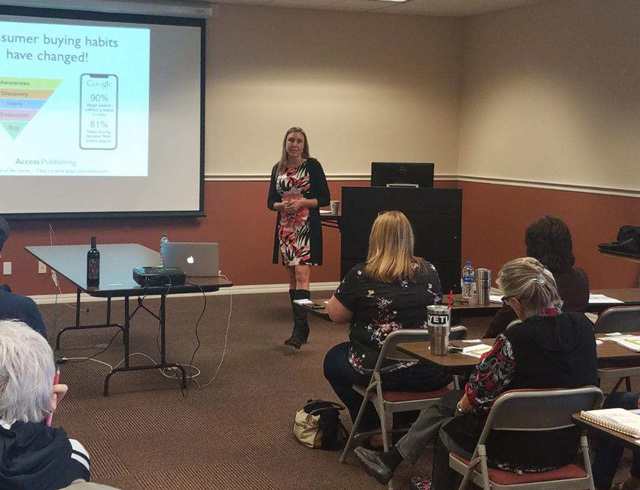 Access Publishing hosted an SEO seminar on Friday to help local businesses and organizations improve their online marketing presence and rank in Google search results. 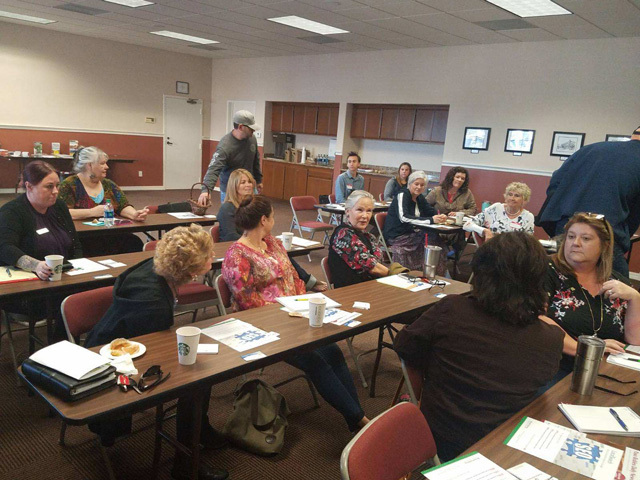 Brennan gave a presentation dozens of attendees at the seminar, held at the North San Luis Obispo County Association of Realtors in Paso Robles. If you’ve ever wondered ‘how do I get my business found on Google?’ or ‘How can I rank higher on Google?’ this seminar was an eye-opener. Beth Brennan speaks about local search optimization. Brennan and the team at Access Publishing have given dozens of educational seminars to hundreds of local business leaders at engagements from Rotary Clubs to chambers of commerce. The company provides marketing, web design and local SEO services to over 1,000 businesses in San Luis Obispo County. 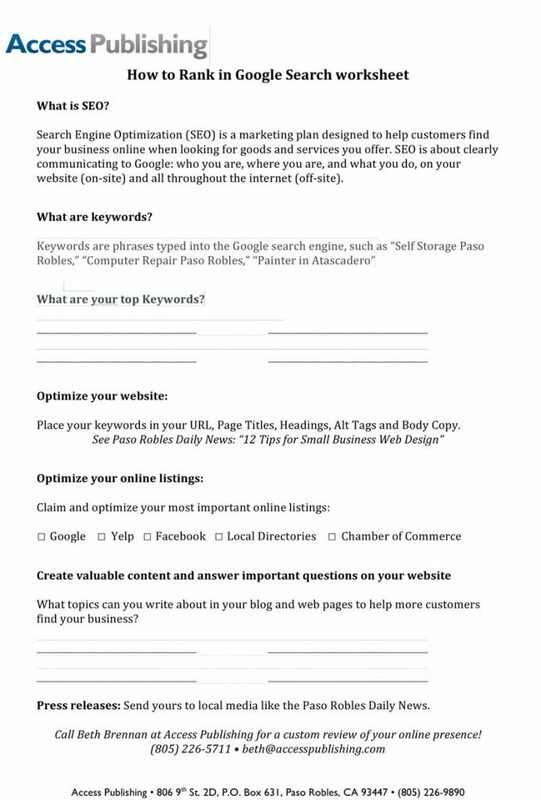 If you’d like to set up a web design and SEO consultation with Access Publishing, call for Beth Brennan at (805) 226-5711.